Fear Not • Run Hard. Rest Well. Fear. It comes in all shapes and sizes. Sometimes it’s a trifle, nagging thought. Other times it advances like a relentless, consuming fire. An element of fear is written on every page of the first Christmas story. In some places it is obvious: “Mary was greatly troubled.” With Joseph, his fear was subdued. “… he had in mind to divorce her quietly.” Herod’s fear came out as anger as he contemplated a rival to his throne. The shepherd’s fear was likely visible. Imagine the release of adrenaline after a quiet, starry night explodes with the glory of God. 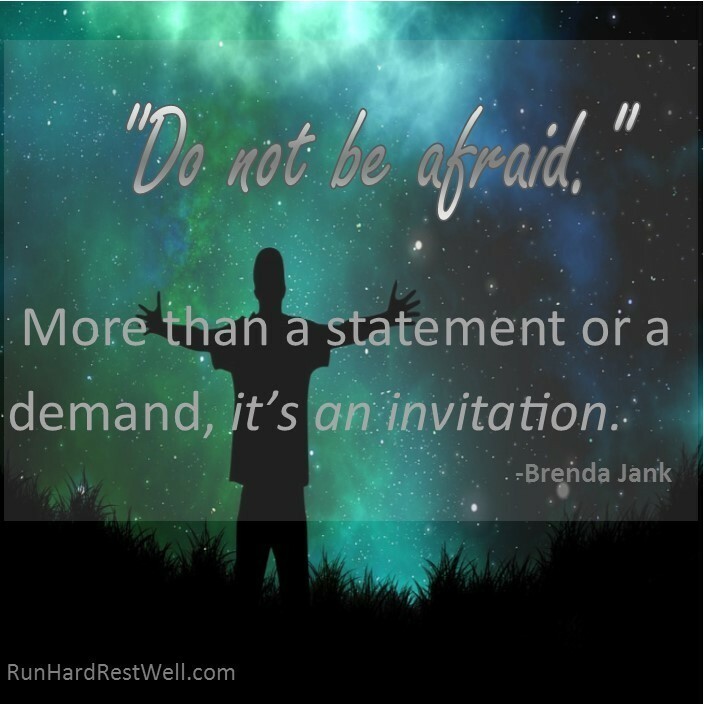 “Do not be afraid.” More than a statement or a demand, it’s a commanding, compelling invitation. May God’s invitation to “fear not” invade every tear and every fear that threatens to undercut our hope for today, and the New Year before us. Do not be afraid. Absolute beautiful. A much needed, often needed reminder. 2016 is before us! A new day is here. We have the remarkable opportunity to move into it from a place of utter security …. and joy.